PURE is an off-the-shelf payment application from Gemalto that is fully compliant with the EMV™ standard. It is designed for domestic schemes and private payment card associations looking for chip-based security and fast time to market. PURE is a scheme-agnostic EMV application that private-label card issuers and national payment associations can use without the need to enter into a business agreement with another payment scheme. With contactless payment becoming available at an increasing number of locations, paying for your morning coffee is now only about tapping your bank card in front of the terminal at your favourite coffeehouse. Thanks to its strong R&D capability, Gemalto has managed to condense the technology that enables a contactless card to speak to a reader into a tiny piece of secure payment technology so that it can be integrated into a range of products in all kind of shapes and sizes. 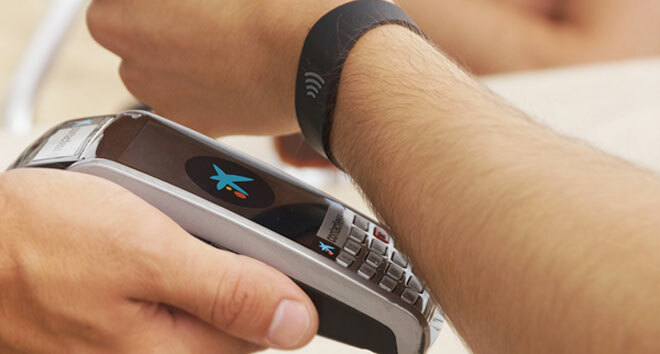 Gemalto enables banks to take their place as a leading innovator, with the Optelio banking operating system and complete range of contactless applications. Customized to your needs or ready to roll-out as Stickers or as PayBands integrating Gemalto’s MiniTag and MicroTag with total ease-of-use. Mellon retail card solutions help merchants introduce and effectively harness loyalty and stored-value card programs. Mellon enhances its card offering with management and monitoring tools that let our clients dynamically interact with consumers and build profitable, long-term customer relationships. An easy to use and reliable tool to enhance customer loyalty, increase traffic, attract new customers, acquire statistical data, and promote your brand. With a variety of amazing materials, shapes and styles for the cards and packaging, you can create unique designs that will attract attention. Matica’s comprehensive instant issuance solutions provide the opportunity to personalize cards in real-time at the branch level and to deliver immediately into consumers’ hands. As a feature of improved in-branch experience service, this ‘immediacy’ helps to galvanise the modernization of bank branches. It helps customer retention by serving them in a fast-moving digital era, so the choice of the right instant issuing solution is critically important. When high speed issuance is required, reliability and flexibility are the keys to success. Matica's central issuance products meet and exceed these requirements, able to print, encode and emboss over 2000 cards per hour. These systems are completely modular and can be upgraded in the field by adding the module that is needed.